Description: Maybe manz second best friend but it manz numbr favorit wan snak! NOT a Battle Pet. Just expensive. 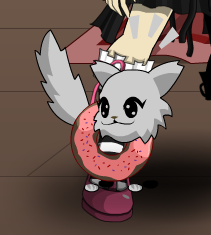 This item is a parody of the popular internet meme Nyan Cat. Thanks to Alaina and Xia.